It is not a good practice to set a standard rate for your rental property, which is usually determined by the number of bedrooms and the locality where property is situated. It is true that market value is analyzed by the tenants prior to making the call but it is also true that the way you have maintained your unit and the range of amenities offered also make a major difference. Unless the rental properties are exactly the same, you must think about the feasible rent by the attractiveness and desirability of the unit. Desirability of the unit is determined by the amenities your property offers. Depending on that you have the right to charge more than the standard rate. There are certain aspects that you must consider prior to deciding the rent. View: The view that your property offers makes a lot of difference in its desirability. Such as positioning or park view or garden view are some of the barometers. People prefer properties that have garden views and are willing to pay more if they get one. Upgraded Appliances: If you have updated appliances then you can ask for higher rent. Renovation: The rate of renovated property is considerably high than those which aren’t. Addition of hardwood flooring, fresh paint, kitchen and bathroom fittings or other amenities make your property a lot more worthy than the standard market rate. Area Covered: A 1200 sq/ft one bedroom apartment will fetch higher rent than a 700 sq/ft one bedroom property. Layout: The design and architectural sturdiness of the property determines its high or low desirability. Floor Level: People prefer to rent lower level apartments if there are stairs and higher level floor if there is a perfectly working elevator. Usually people want to rent property on higher floor level but they want to avoid using the stairs as well. Balcony: Spaciousness of the layout and presence of large balcony, big windows or an extra balcony also can benefit the landlord in increasing rent. If the area your property is located in is sought-after then expect higher rent. Check out the local newspapers property ads or online ads for properties on rent in the area same as yours because it will give you a clear picture of the ideal rent. You can search for a few weeks and keep track of the apartments/properties that get rented immediately, which couldn’t be rented for many weeks and which properties were rented at lower rent. You will definitely understand the tricks of the trade through this research process. There might be landlords offering rental incentives to attract renters like free TV which would mean your area is quite saturated and landlords are unable to find renters in their desired rent. It is also a feasible idea to go an extra mile and personally check out some of the apartments in your area. This would help you in making comparisons. You may also communicate with other landlords offering property similar to yours such as same number of bedrooms or area covered. Realtors must also be contacted to understand the fair price of your property. 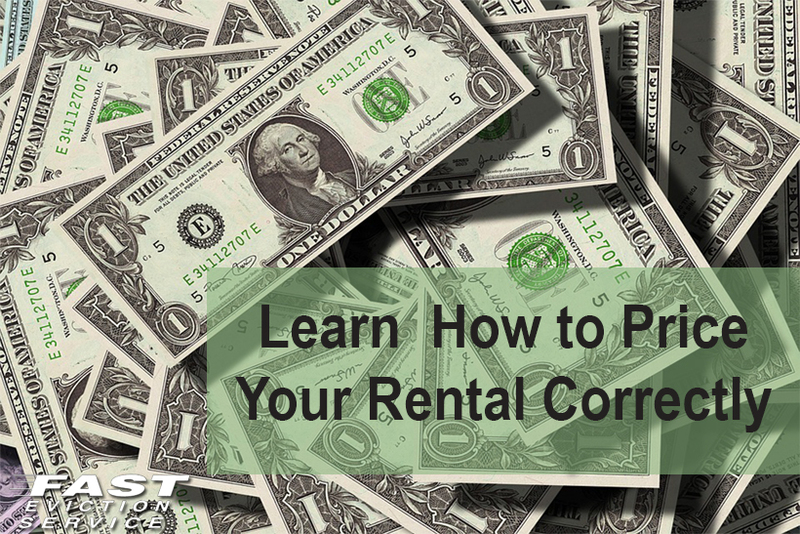 After analyzing the issue from every aspect you may need to adjust your asked for rent accordingly. Don’t be unfair while setting up the rent. You cannot ask for a three bedroom property rent for a two bedroom apartment. In the same manner never underestimate your property’s worth and never set the rent to be too low. Keep in mind that your property will attract prospective tenants only if it is desirable enough. The location, layout, amenities and floor level everything is reviewed by the renters and if they find it falling short of the claims made in the advertisement then they will move on to another property. Conversely, if the property is being offered at a very low rate then people will suspect that something is wrong with the unit. Therefore, successful landlords are those who settle for the perfect rate, which is absolutely fair and neither too high nor low. Nobody would set a one-time rate for the rental property; the rent is always subject to change as per the market trends. It wouldn’t be wrong to state that market trends hugely affect the rate of rental units. For instance, in economically trying times, the demand for rentals increases because public cannot afford own homes and hence, are forced to move into a rental unit. Moreover, during economic recession, demand for smaller, cheaper unit increases since people need to cut back on their expenses. Similarly, during summers, demand for spacious apartments increases because families need to move before the start of school year. Therefore, the rule of thumb is the demand will determine the rent of your unit and market trends are what determine the demand of any particular location and/or unit. Remember, your rental unit is a precious commodity because it can help you pay your construction loan and/or mortgage (if any) and also makes you financially stable. In the times of economic instability it is your rental unit that can serve as a reliable backup plan to make ends meet. This is why it is important to be wise and alert while setting up the rent. Once you settle for a figure, it wouldn’t be possible to increase it before the end of lease agreement, therefore, we advise you to wait until you have done appropriate research and decided about the best rate for the unit.